After the first day at the Outdoor Retailer winter show in Salt Lake City, I’ve pinpointed a couple pieces of gear that I’m looking forward to checking out later this year. Blending the stiff cuff of an alpine ski boot with a hinged cuff of an alpine touring (AT) boot, Salomon. created the Quest Pro Pebax with ride and hike options. Flip the lever after hiking up the mountain and you’ll be ready to ride. 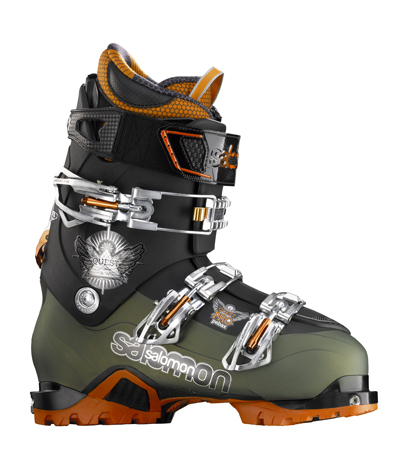 With a flex rating of 110, the boots are primarily designed for alpine skiers who don’t mind working for their turns. Plus, the boots come with touring “pads” that provide extra grip and easily swap out with smoother alpine soles via a few screws on the forefoot and heel. The boots are expected to be available in fall for $810. 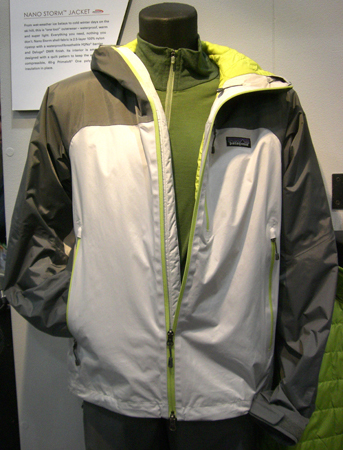 On the outerwear side of things, Patagonia is building upon its popular Nano Puff Pullover. The company is expanding its line of Puffs to a full-zip and full-zip hooded version. But most notable is its Nano Storm jacket. The jacket is essentially a hooded Puff Pullover with a waterproof nylon exterior making it great for a variety of conditions. But you’ll pay for it. The jacket is expected to launch in July for $299.